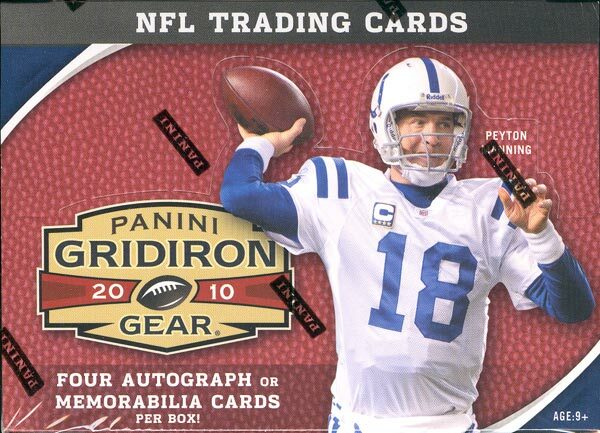 All About Sports Cards: Brand new SPEED-break™ of a hobby box of 2010 Panini Gridiron Gear Football Cards with some nice Mojo right at the top. 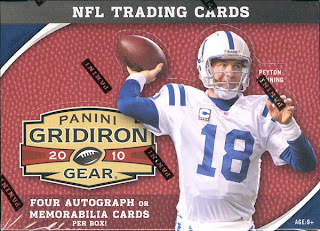 Brand new SPEED-break™ of a hobby box of 2010 Panini Gridiron Gear Football Cards with some nice Mojo right at the top. I have to admit that after the first two packs of this break I though this box was loaded, but things settled down for a bit. I love the look of these cards but this is definitely a multiple purchase set builder, especially considering there are 100 Rookie cards and only 18 in a box. But I'm certainly not going to have a problem picking up another box or two.